Partial demolition, renovations, additions and new structures create a safe new neighborhood at Eastview Terrace. 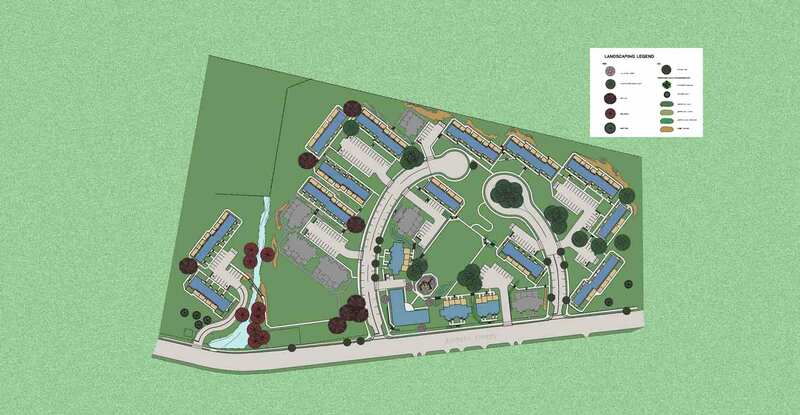 Managed by the Housing Authority of New Haven, Connecticut, Eastview Terrace is located in the Fair Haven Heights area of the city, near the Quinnipiac River and the East Haven border. The former Eastview Terrace Housing Development was designed as quintessential 1940s “barracks-style” brick linear structures. The original layout of the neighborhood created limited visibility at unit entrances resulting in substantial security problems. The structures were in a state of significant disrepair and hazardous materials were present. Furthermore, the buildings were bland and monotonous with little or no differentiation between individual townhomes. Kenneth Boroson Architects was retained to provide HANH with various options to mitigate these issues. The project is being completed in multiple phases. During the Master Planning Phase, the budget determined that not all units could be demolished, requiring that some be renovated. 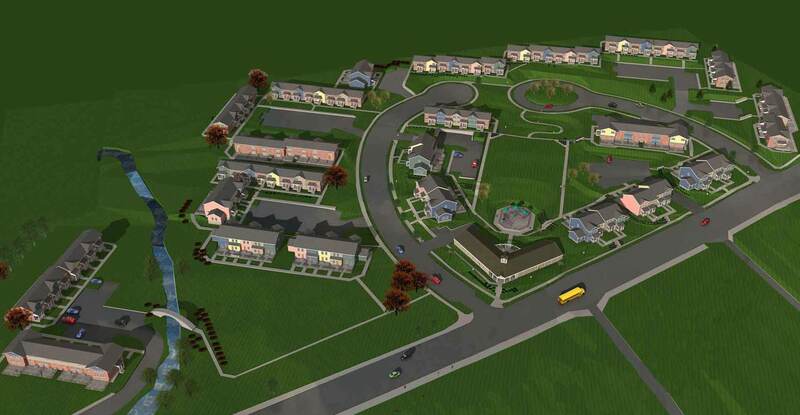 Our firm provided the Housing Authority with a revised site plan for the entire 20.8-acre parcel that strategically removed some of the buildings to increase sight lines and improve security. Front porches, dormers, and colorful siding were incorporated, along with fenced-in back yards, providing a sense of individual ownership to each distinct townhouse. New units were added with similar exterior amenities to strengthen the edge of the street and create a coherent neighborhood. New infrastructure included all utilities, modification of some roads, new walks, new lighting and security cameras. Site conditions were also reworked to eliminate drainage and erosion issues. Phase 1 included the comprehensive renovation and modernization of exteriors and interiors of 90 residential units, including asbestos remediation. Of the 90 renovated units, 12 were transformed into ADA-accessible properties to provide residents with greater options. New construction in Phase 1 included 12 brand new dwellings and a new 6,200-sf community center used for offices, recreational activities, and job training programs. Phase 1 was completed and occupied in September, 2009 at a construction cost of approximately $35 million. Construction of Phase 2 (twenty-five new units and a storage facility) is scheduled to be completed by November of 2016. The total project size includes more than 14,500 sf of new unit construction and more than 100,000 sf of renovated units.